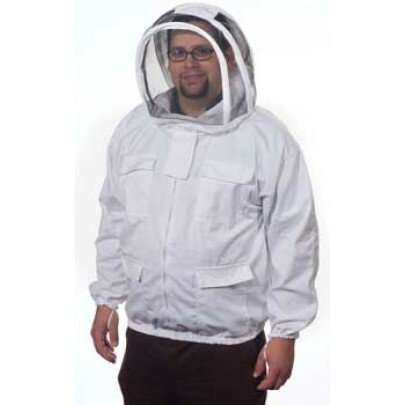 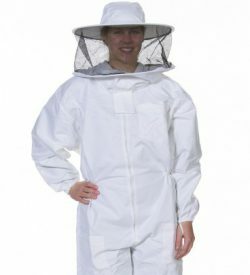 Many new beekeepers ask the benefits of buying a round veil suit versus a fencing-style veil suit. 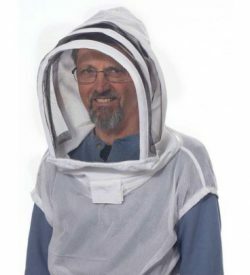 Each one will protect you equally – it’s really just a matter of personal preference. 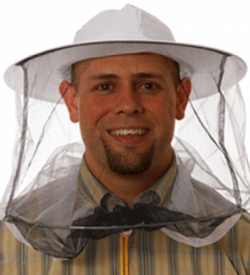 Round veils keep wiring away from your face even when kneeling and bending, and offer a wider range of view. 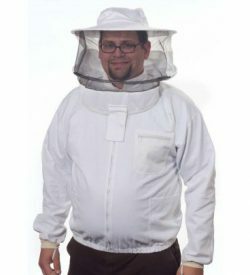 Fencing-style veils help keep you cooler because they don’t require a hat.